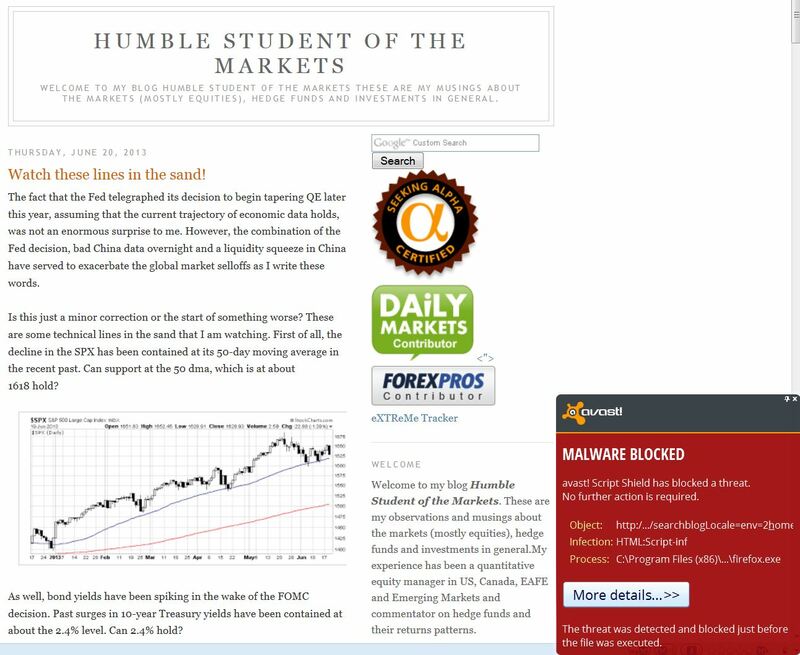 Humble Student of the Markets: Malware? I'm getting it too, but I'm using avast as well. Not sure if it's false positive. Using Norton & no problems. That would indicate a false positive on Avast. I have had that problem when using Avast in the past. With Avast, I don't get it when I navigate to this page; but I do get it when I click on the image. So far, it seems that only Avast is finding malware on the site. I use McAfee and I don't get anything. As reported, Norton can't find any malware either. What image triggers the warning with Avast? I'm getting it. I'm using avast as well. 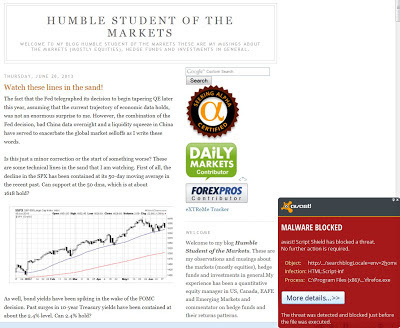 Admuncher says there is a malicious link to crossingwallstreet.com.